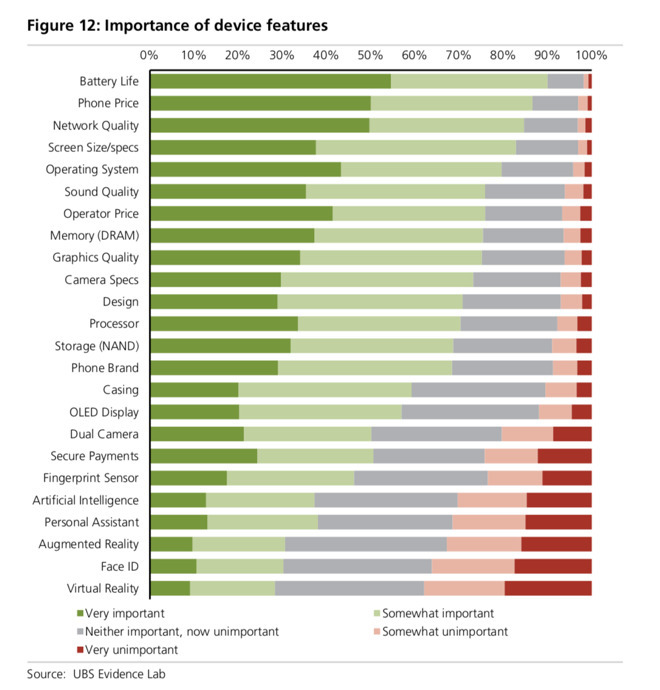 A poll of 6700 smartphone users provided to AppleInsider performed by UBS sees a shift in purchasing intent to the iPhone X and high-end iPhones. From that pool, 44 percent of purchasers in the US expect to buy an iPhone X, up dramatically from 30 percent in October 2017. Additionally, about 40 percent of the buyers are looking for Plus models, up slightly from 37 percent in the previous survey. Buyers in China and Japan looking for the iPhone X are also over 40 percent of the as compared to other purchasers in the countries as well. While overall intention to buy a new smartphone appears to be dropping worldwide, the buyers seeking the higher-end Apple phones should keep up average selling price, sustaining Apple's revenue growth from hardware sales. Buyers looking to get a pricey phone are favoring the iPhone over other competing brands —another plus for Apple. Additionally, upgrade cycles are lengthening across the world. In the United States, the average periodicity of upgrades has increased from 2.0 years in 2016 to 2.2 years in 2018. Apple has always relied on customer retention to keep revenue high, and the iPhone X is no exception. 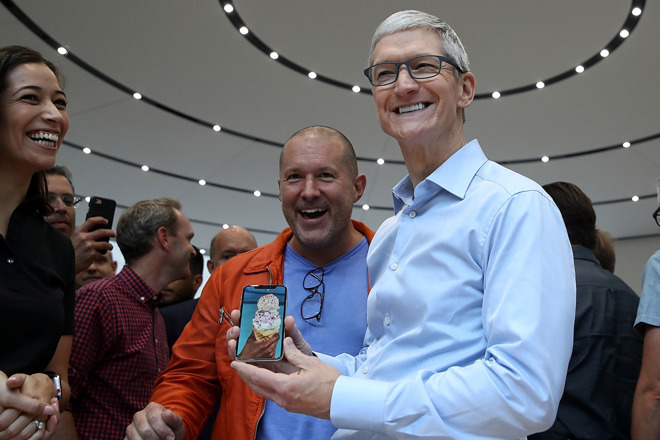 "We consider Apple's two most important metrics to be growth in the installed base, which we think is low double-digit for iPhone, and customer retention rate," writes analyst Stephen Milunovich. "Good results in those mean that it's when not if consumers buy their next iPhone." Milunovich also believes that consumers are not excited about recent innovations like Face ID and augmented reality —but they may be going forward. "As Apple controls more of the component technology, it has started to differentiate with Face ID, an AI processor, and possibly AR," said Milunovich. "The ecosystem is the strongest in the industry as seen by the success of the App Store. Our platform view of the company is that software and services are there to create a superior customer experience and support premium hardware margins." Milunovich and UBS raised their price target not just because of the average selling price staying high, but also because of continued services revenue expansion.